Vapouriz Double Menthol is an ice-cold e-liquid that brings together cool menthol and fresh mint for an invigorating vape. 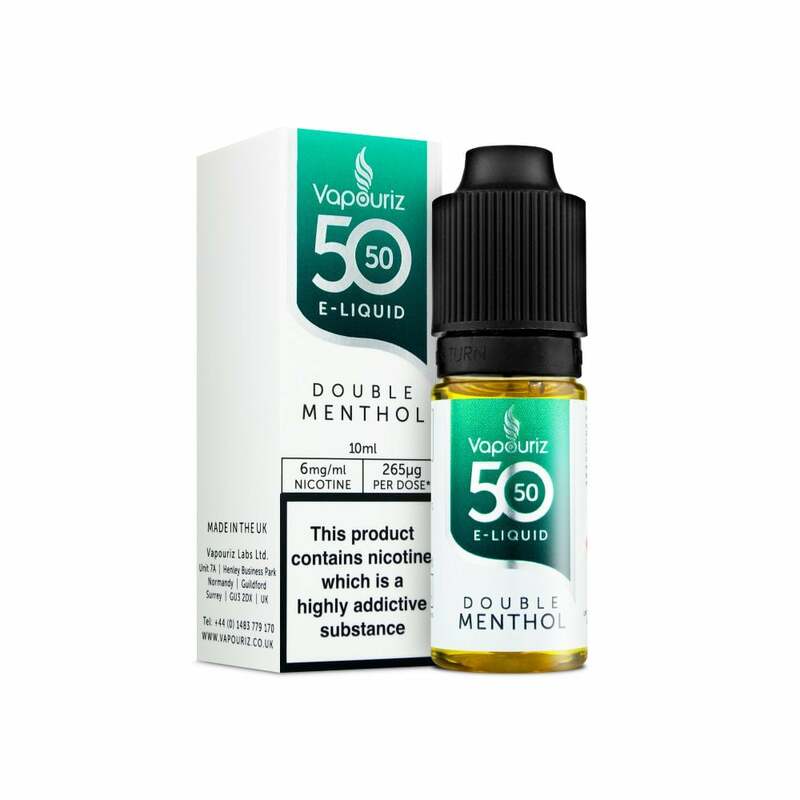 Pick up a bottle of Double Menthol by Vapouriz and keep yourself feeling refreshed all day. Good flavour. Very thick liquid so finding have to puff hard. I find that this eliquid is a very refreshing vape and extremely satisfying. great menthol flavour!! would recommend. Good refreshing vape with this menthol e liquid. 5 star product.